The last of MFF Pahang entries, I think. 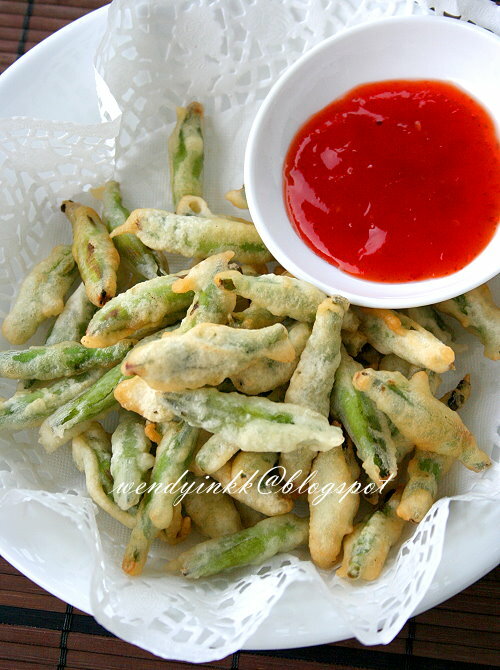 Fried daylily buds is a street food that you can find at Brinchang Night Market in Cameron Highlands. 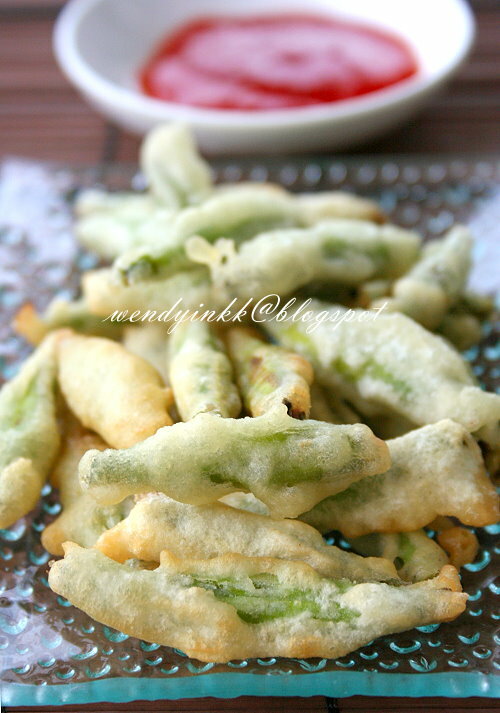 Local produce are being fried in batter like tempura and eaten as snacks. Oyster mushrooms and daylilies and sometimes I see strips of sweet potato too. There might be new varieties of fried vegetables now as it's been years since I last went. Before I had Lyanne, we do go there very often, few times in a year. Sometimes we just drive up for tea and then drive down hill. Daylilies are a common ingredient in Chinese cuisine, but usually sold in dried form, that we fondly call as 'Kam Cham" 金针 or golden needle. In Cameron Highlands, they are cultivated and harvested for fresh consumption. If you were to take a drive from Brinchang to Blue Valley, there are lots of daylilies growing by the side of the road. 1. Wash lily buds and let it air dry until it's no longer wet. 2. Prepare batter by combining all the ingredients. Let it sit for 30 minutes. 3. Heat oil in wok/saucepan. 4. 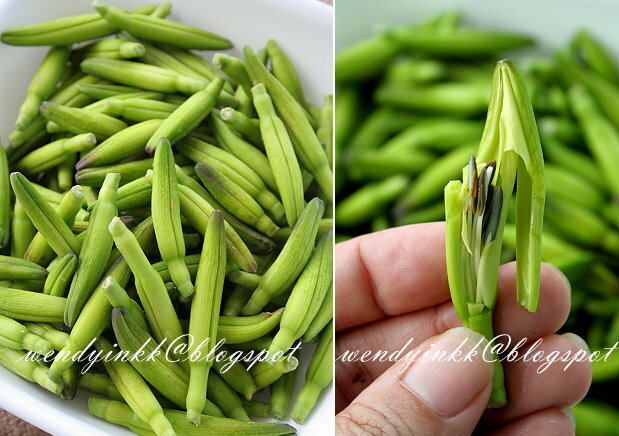 Mix lily buds in batter and put each lily bud into the hot oil. 5. Fry until it is lgihtly golden and crispy. 6. Serve warm with some chilli sauce. I never knew these buds are edible! I learn something new everyday. 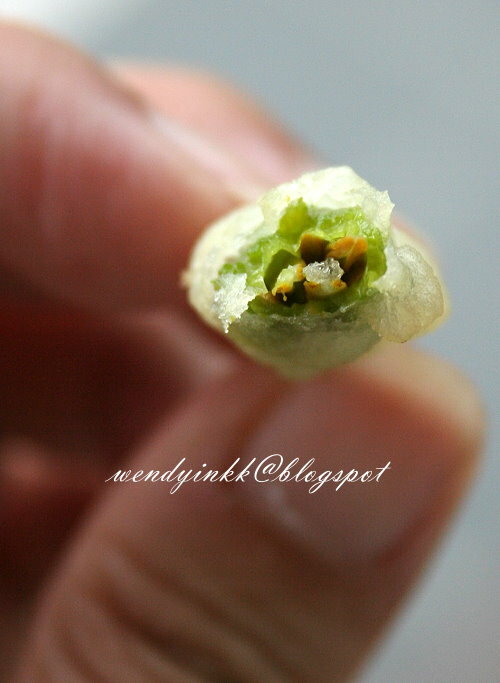 The dried form is very common in our Chinese cuisine. Can I ask if the batter stay crispy ? 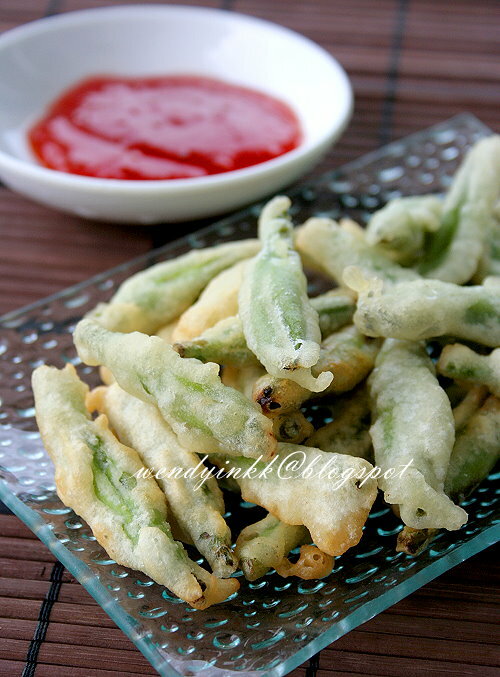 Because the lily bud has moisture of its own, the batter doesn't stay crispy for long, but it is crispy when warm. earlier, when you told me i thought it's kam chum koo! .hehe..